1. Ballast train W072-01 gets a flashing green (medium clear) to depart southbound. 2. 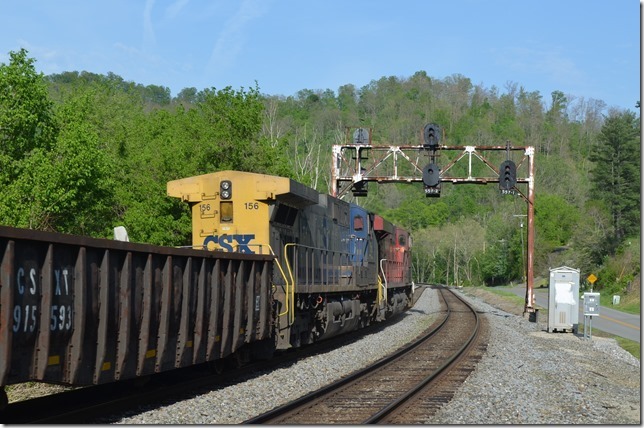 CSX 9030-7924 depart with 47 empty ballast hoppers. 3. 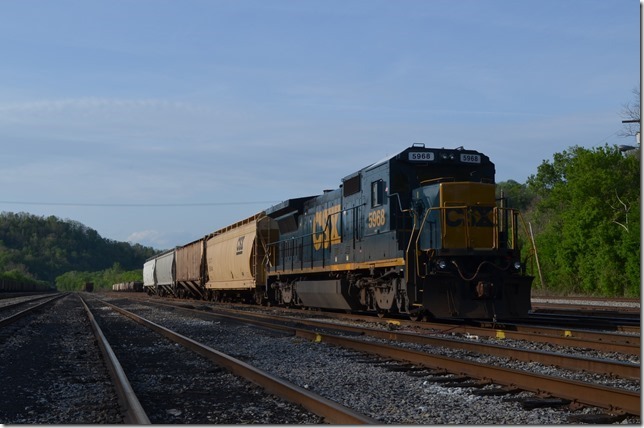 CSX 9030-7924 depart with 47 empty ballast hoppers. View 2. 4. Parked on the ready track were UP SD70AH 8845 and SD70ACe 8600. These are probably in the current helper pool. 5. Parked on the ready track were UP SD70AH 8845 and SD70ACe 8600. View 2. 6. Parked on the ready track were UP SD70AH 8845 and SD70ACe 8600. View 3. 7. 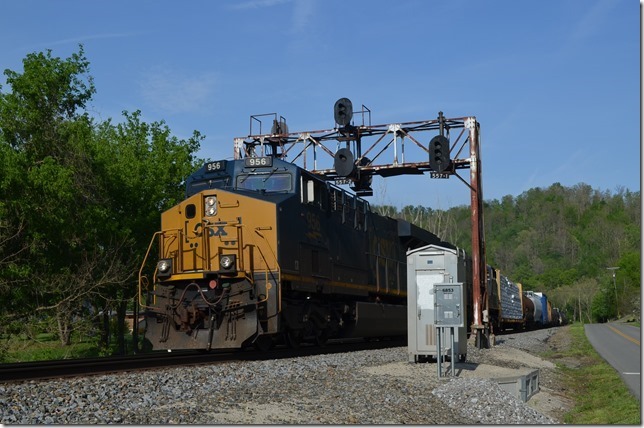 Eastbound grain train G640 arrives behind CSX 9 and 932. 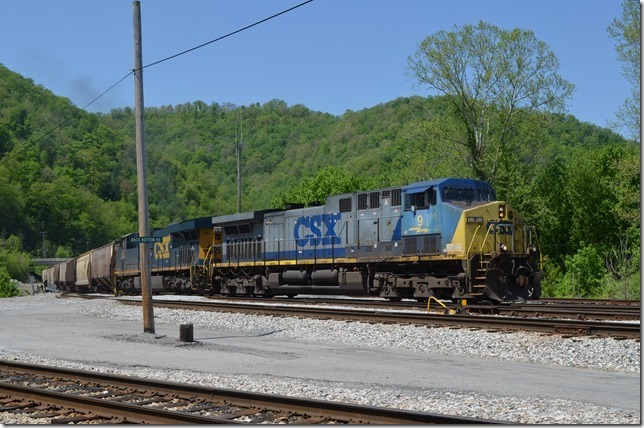 These were mostly CSX covered hoppers with a few lease cars. 8. 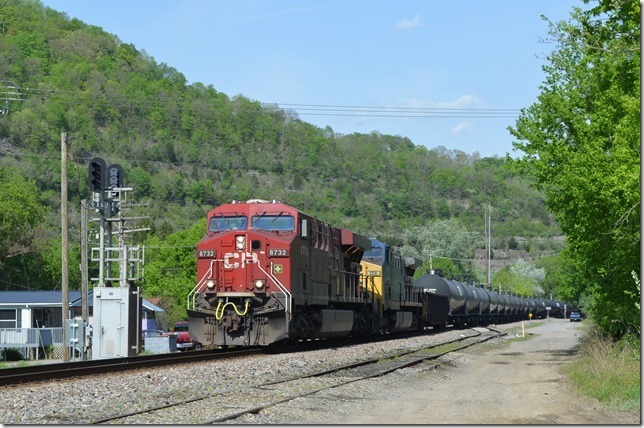 Empty ethanol train K446 heads west at Betsy Layne behind CP ES44AC 8732-CSX 156. 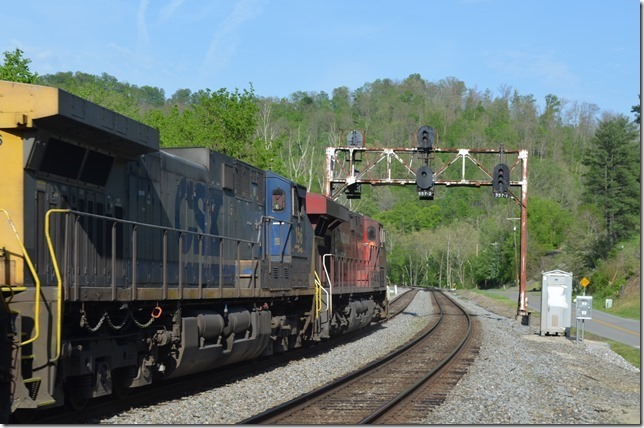 Engineer Bryan Pleasant has 80 empty tank cars and two idler cars. 9. 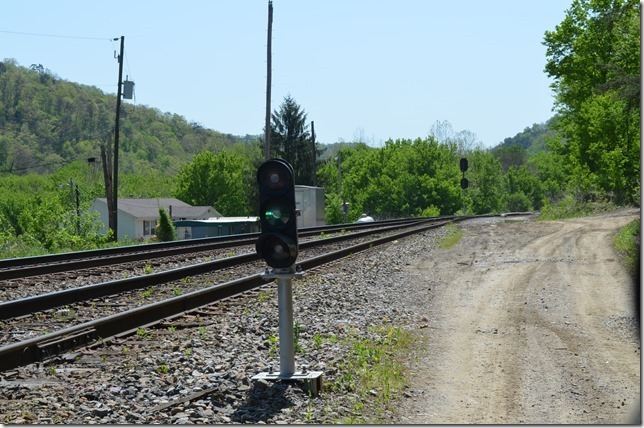 K446 at Bays Branch which is between Prestonsburg and Auxier. 10. K446 near West Van Lear (Van Lear Jct. on C&O). Train was using Track 2 because of switch problems at “Johns Creek.” K446 crossed back to Track 1 at Dawkins. 11. 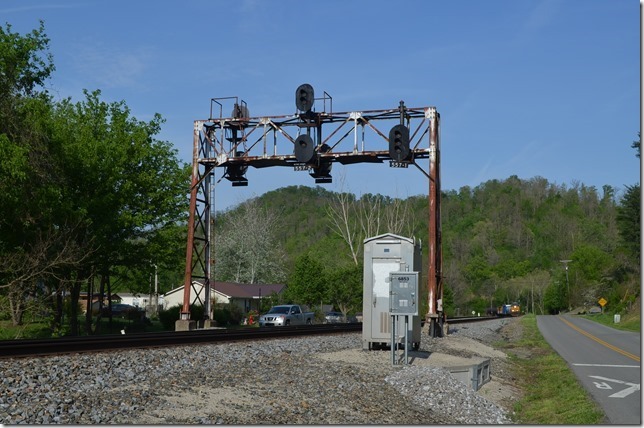 Plez looks at an approach block signal at Bobbs (Buskirk, Ky.) to meet Q696 at GC Cabin. 12. 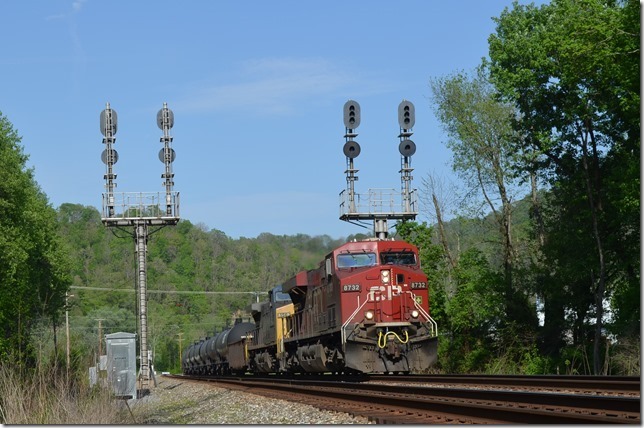 Plez looks at an approach block signal at Bobbs (Buskirk, Ky.) to meet Q696 at GC Cabin. View 2. 13. 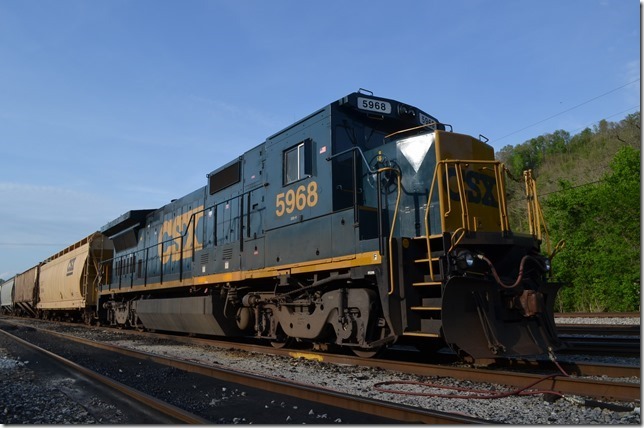 Q696 eastbound has CSX 956-986 and 103 cars. This is the only signal bridge on Big Sandy SD. 14. 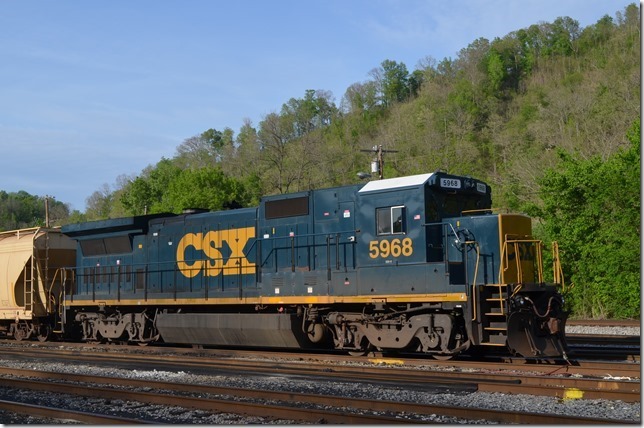 Q696 eastbound has CSX 956-986 and 103 cars. This is the only signal bridge on Big Sandy SD. View 2. 15. 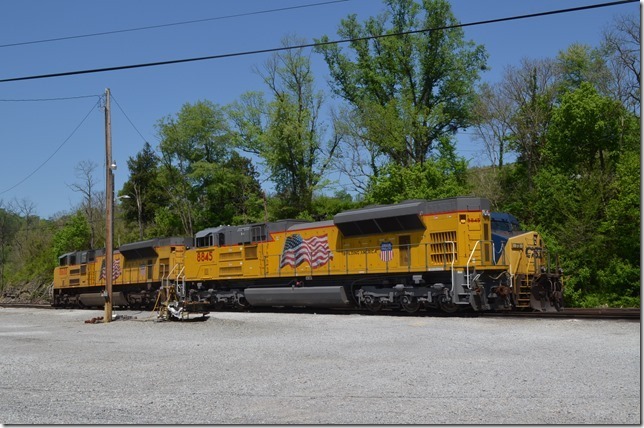 At Paintsville Yard I found “B20-8” 5968. 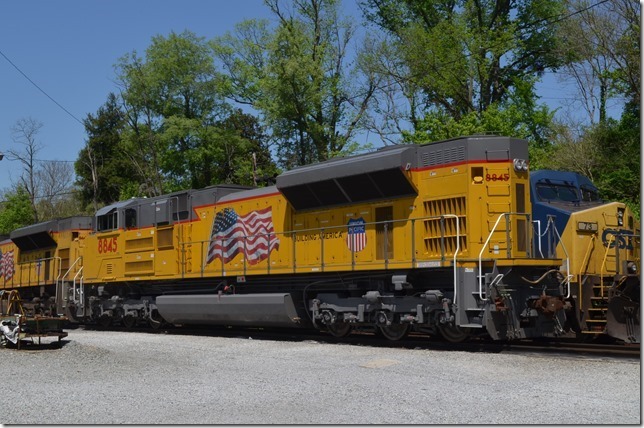 This ex-Conrail B40-8 has been de-rated to 2000 HP. It will be used in local service. 16. At Paintsville Yard I found “B20-8” 5968. 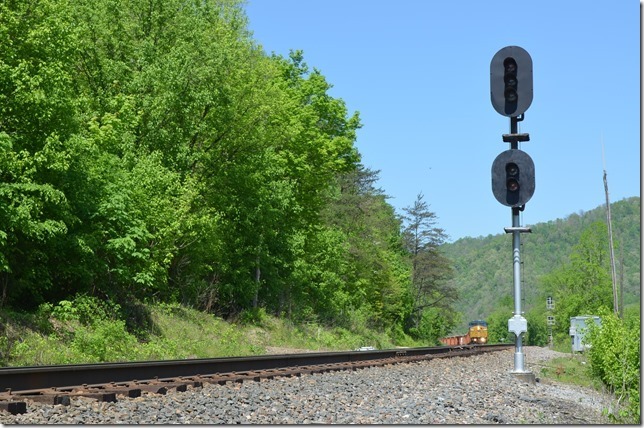 This ex-Conrail B40-8 has been de-rated to 2000 HP. It will be used in local service. View 2. 17. 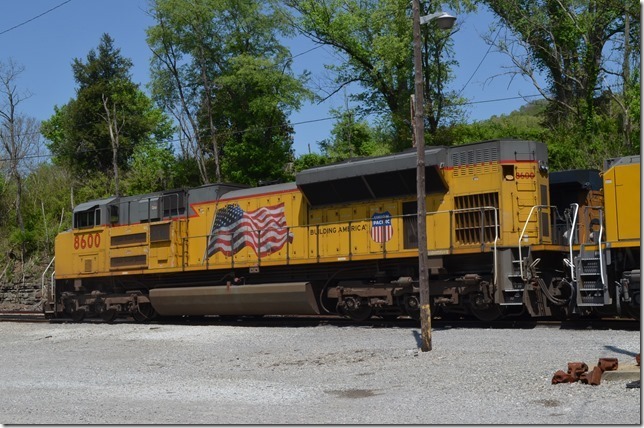 At Paintsville Yard I found “B20-8” 5968. 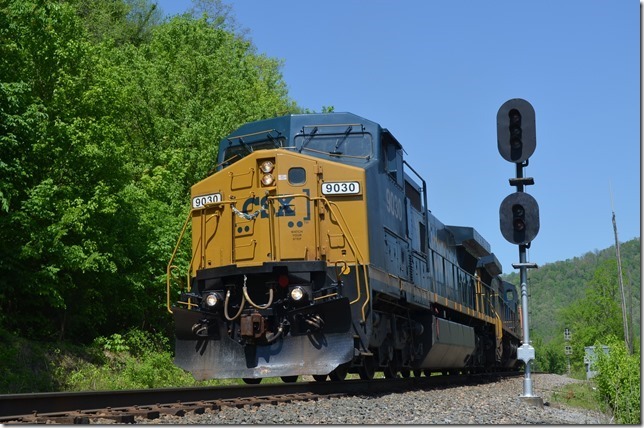 This ex-Conrail B40-8 has been de-rated to 2000 HP. It will be used in local service. View 3. 18. 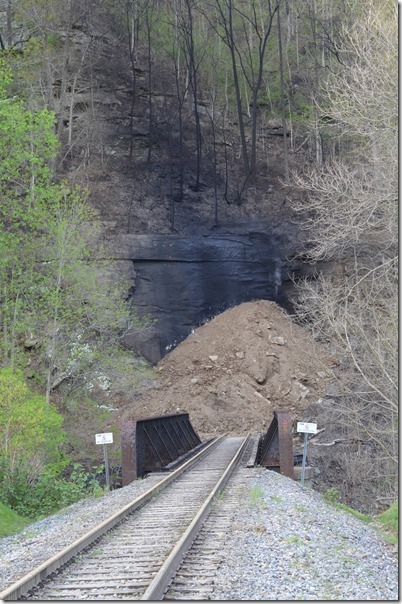 From last week, Robinson Creek Tunnel has been sealed to smother the fire. 19. 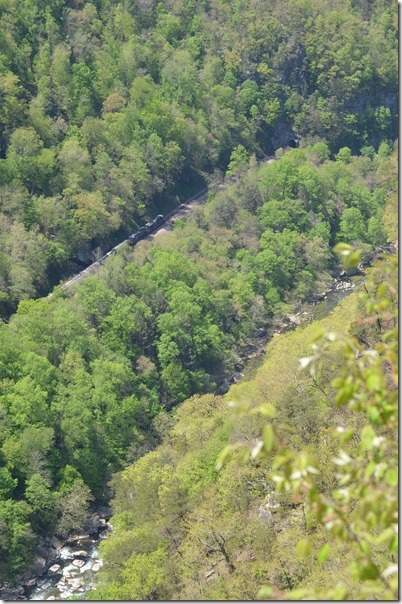 From last Sunday, 4-27-14, at the Breaks Interstate Park. Southbound loaded grain train behind 7657 with 90 cars and a two unit pusher from the State Line Overlook. The train is coming out of State Line Tunnel. 20. From last Sunday, 4-27-14, at the Breaks Interstate Park. 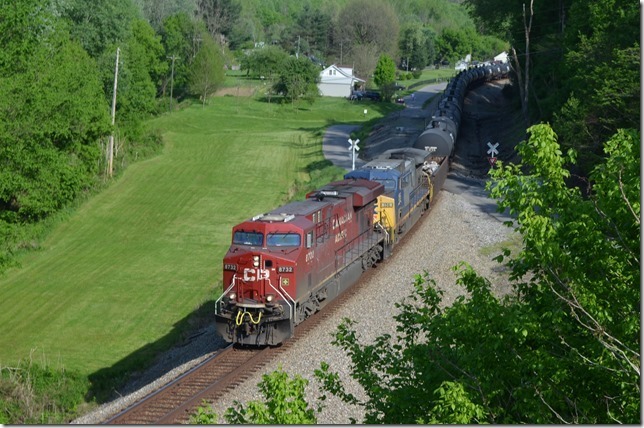 Southbound loaded grain train behind 7657 with 90 cars and a two unit pusher from the State Line Overlook. 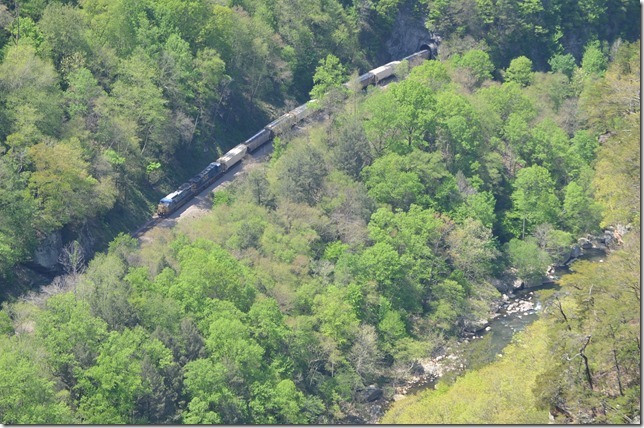 The train is coming out of State Line Tunnel. View 2.